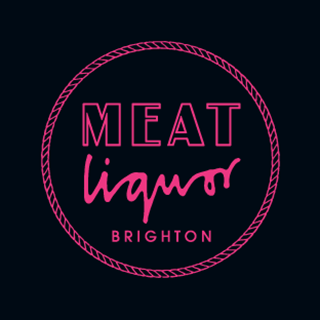 MEATliquor started as a burger van (the MEATwagon) in a Peckham industrial estate carpark back in 2010. After its theft came #meateasy, a 3 month pop-up restaurant above an abandoned pub in New Cross, which opened in January 2011. The first permanent MEATliquor site (MEATliquor W1) opened 11/11/11 and the rest was history…. We opened in September 2013 and were the first MEAT site outside of London. We’re located on York place, opposite St Peter’s Church, a short walk from Brighton station and on the outskirts of the famous North Lanes. 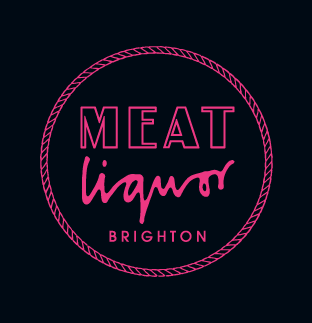 We’re a bar & restaurant, so you can get a MEAT or liquor fix. Vegan and veggie options, table football and window space. Our £10 lunch deal is available weekdays until 5pm. Celebrating something big? Parties are our business. Hit us up for group bookings, whatever the size. We’re also very dog friendly. Close to the Amex Stadium, Brighton Dome, Corn Exchange, Brighton Centre, Green Door Store, The Lanes, Preston Park, Palace Pier, i360, The Pavilion and of course… the beach. Fantastic food and service. I would highly recommend. The waitor was excellent, and we loved the triple chilli challenge (although we did fail). Great service. Waiter had lots of knowledge on drinks and the food was delicious as always! I think the vegan dogs could be better, they tasted like your Quorn version and they are a lot better alternatives, let alone trying to make your own! Managed a hectic big table well! The food here was amazing, however let down by not the best service. Our server seemed rushed and not very patient, he never explained any of the menu or size of portions, as this was our first time other similar places will explain it all to you. Once we had finished we had a different server who was great, shame we couldn’t have had him from the beginning. Will not be coming back due to the service. Lovely meal as always! Brighton one has a great vibe! Only criticism is that before we ordered i asked if orders could be done separately to make paying easier but all 10 peoples food and drink was on one receipt and i had to go through and add it all up which was a bit of hastle. Table was sticky. Took a long time to get served. Air con and music were too loud. People were nice who looked after us but not very on the ball. Food was smashing and very tasty  was  full up after it and can’t wait to return there service was 10/10 the guy with the tash was really nice and made you feel at home he needs a pay rise !! 10/10 for everything can’t go wrong with it !! We ordered burgers for the 4 of us (one each), when 5 burgers arrived the waitress simply took it away after 5 minutes of us waiting to be told if they’d over ordered for us or made a mistake, the burger was then given to another customer after being sat with us. We had to ask for cutlery and to order drinks. When our order finally came we were missing a side, only to be told they’d ran out after we’d received our food to wait a futher 20 minutes for a side that came after we’d finish, and for it to be on the bill. The service was not as good as its other restaurants and clearly there was a lack of communication. A long wait for drinks to be served! A great experience. Food is brilliant and nice selection of beers. Service was a little slow despite not being very busy at the time but that is my only very minor complaint! Had been wanting to eat at MEATLiquor for years and it was worth the wait and then some. Arrived at 7:30 on the dot as we booked for that time but we didn’t actually get sat at our table until like 7:50 ish but the rest of the night was perfect. We waited 1 hour and 15 minutes for our food to arrive. We booked a table for 5:15pm with plans at 7pm, thinking we would have plenty of time. As it took so long for the food to arrive, we had to eat our meals as fast as possible and asked for the bill when the food arrived. As such, we didn't get to fully enjoy the food as we rushed. The waiting staff were not very attentive. Had good experiences previously, however the above ratings reflect the most recent attempt. We were slow to be seated, and again very slow to be asked for drinks (>15mins), and to then be served these drinks (>10mins)! These issues are okay, as the restaurant was clearly busy - but there was no acknowledgement of this at any point, or apology for the delays. We were completely in the dark as to if/when we could expect food, as were the tables around us. Food arrived just over an hour after ordering, with no input from staff on why - or even mentioning that there were delays! We were preparing to walk out, so if it was a few minutes later we wouldn’t have been there for it! Food itself was good, as expected, but after over an hour without it was slightly underwhelming. We asked for another round of drinks, and the bill. Bill came quickly (full-price), whilst drinks were very slow again! Overall a very poor experience, but one that would have been completely salvageable with decent service and an apology/update at any point. James is a great host and really added to our lunch!